By Kirsten G. StudlienAuthor Alston Chase suggested in a recent Atlantic Monthly article that Kaczynski's participation in the Murray study might have pushed him over the edge from an isolated student to a revolutionary against science and society. Kaczynski's bomb attacks often targeted science professors and airline executives. Called "Multiform Assessments of Personality Development Among Gifted College Men," the study consumed hundreds of hours of participants' time over three years. In one part of the experiment, subjects were pressured to respond to questions asked under extreme duress, with bright lights and cameras pointed at them and electrodes attached to their bodies. Dr. Ross Neissuler, who also took part in the study, said that participants also took the Thematic Apperception Test, a psychological test that Murray himself developed. The experiences left some participants scarred for life. Chase cites several other participants in the study who were quite disturbed by the experience, and remembered years later how angry, frightened and violated they felt. 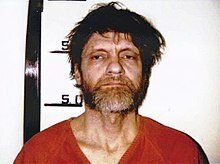 Chase suggests that feelings of this kind might have driven Kaczynski to lash out against society.Comment: We see various people who lash out at themselves or others more often that average. Kids from dysfunctional homes...soldiers returning from war...minorities who experience poverty and racism...et al. These articles confirm what I've said many times. Namely, that antisocial behavior such as crime, substance abuse, or suicide is triggered by environmental stress. If you alienate or abuse people, it's not surprising when they grow confused or angry and strike back. Murray apparently wasn't trying to create disturbed or sick people, but that's what he did. Which is not to say kids from dysfunctional homes, soldiers returning from war, and minorities who experience poverty and racism are like the Unabomber. The only thing I'm saying they have in common is suffering stress from external sources. If they turn out wrong, it's because they were made, not born. For more on the subject, see Childhood Stress Causes Adult Problems and Indians Suffer Toxic Stress.